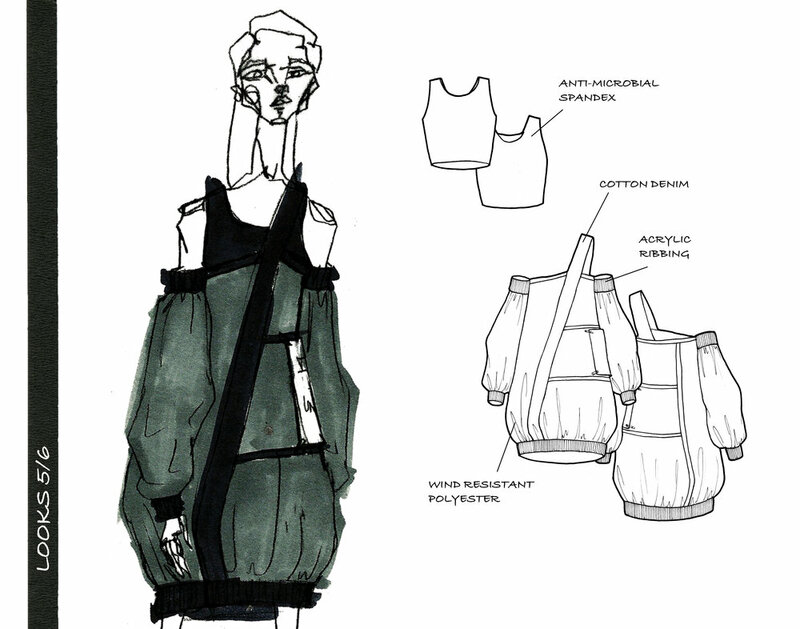 A selection of my favorite fashion design projects. 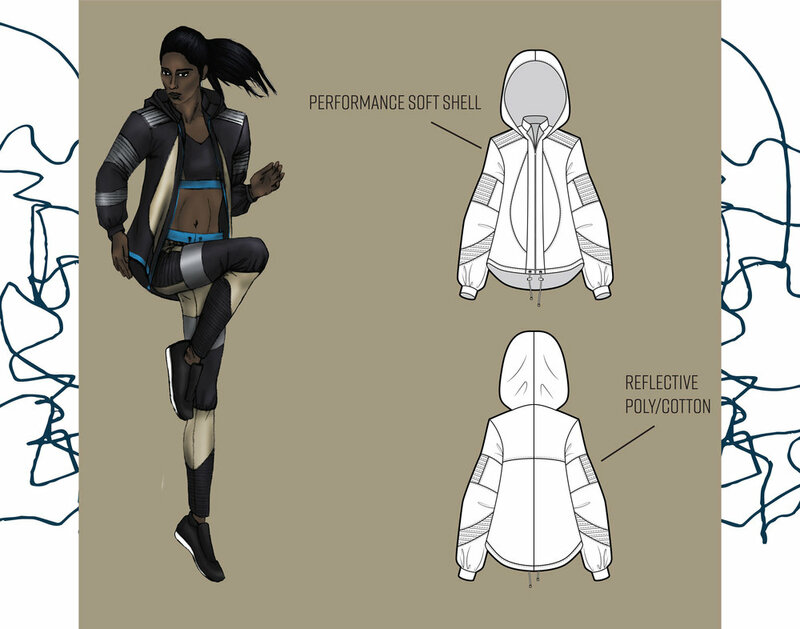 Click on each one to see the full project including process, fabrics, mood, lineups, and technical flats. This served as my final project for Advanced Fashion Sketching. 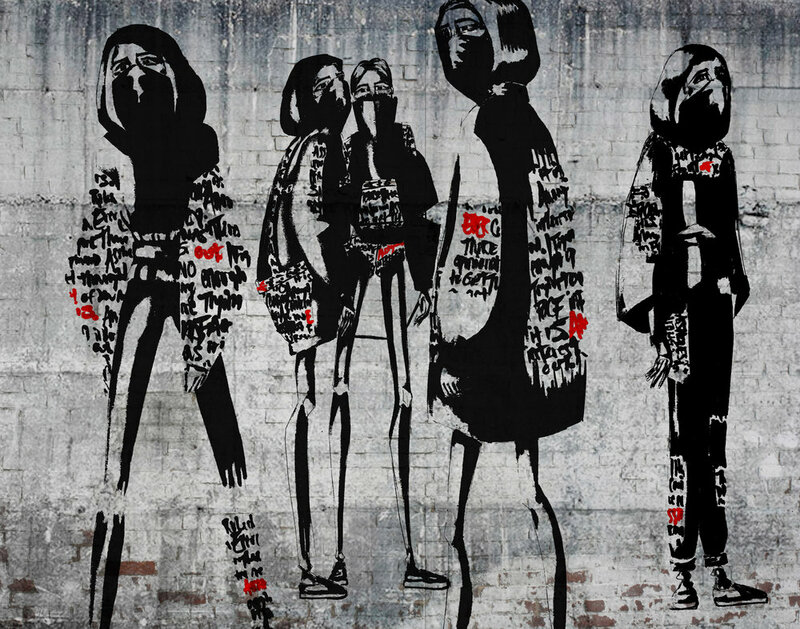 I based the collection around contemporary street artists, primarily Banksy. This is an activewear collection inspired by the body and lines. I used a process of drawing continuous contour line drawings of bones to create silhouettes and style lines. The human body created the designs of the garments that will assist women in making their bodies stronger and better - strength from structure. For this collection I found inspiration in cities. I looked at both beauty of their tall linear structures along with the crumbling, deteriorating foundations that they stand on. I wanted to combine both of those aspects into one collection. The bold lines and geometric shapes in the garments represent that clean structural idea of a city, while the hanging sleeves, safety pins, and loose stitches show the part of the city that is barely staying together and could fall apart at any moment. An active footwear collection that combines the things I love about both natural and urban environments. I drew a little from my past of living in the country, being close to nature and used aspects that I love from that. I also brought in the elements that fascinate me from cities, where I see myself living in the future. A collection of snowboarding apparel that was inspired by both traditional arctic and snowboarding cultures and of the bold graphics on snowboards themselves. A collection inspired by the Tristan Fourtine Collection of geodes in the Villa Datris Foundation for Contemporary Sculpture in L'Isle-sur-la-Sorgue, France.